Have you been attending South Church for some time, or just a short period of time, and desire to learn more about becoming a member? Then this event is for you! 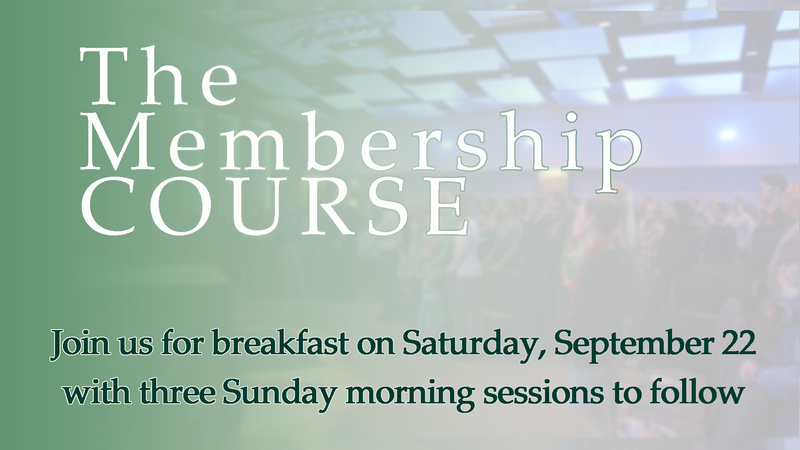 Join us for breakfast and discussion on Saturday, September 22 at 8:30 AM. Church membership is about belonging to one another and becoming like Jesus. It is the way for individual Christians to make their formal commitment to the South Church family. In becoming a church member, individuals express their submission to the leadership of the church in accordance with the teaching of Scripture and the doctrinal statement of South Church. Personal profession of faith in Jesus Christ as Savior and Lord. Committed to corporate worship and personal devotion to Christ and His Word. Baptism as a believer—at South Church we practice believer’s baptism by immersion. According to the command of Jesus himself and consistent with New Testament teaching, those who have consciously turned from their sin and put their personal faith in Jesus Christ should be baptized as an outward sign of their commitment to Him as Savior and Lord. Membership Course—attend The Membership Course that is normally offered three times during the year. Please RSVP using the form below one week prior.